Your Canterbury, Fairmont Homes Inc, Forester, Keystone RV, Open Range RV, Palomino and Venture will always receive the best of care by our Master Craftsmen here at Quietwoods RV Janesville. From roofs and appliances, to slide-outs and awnings, we are here to help you with all your service needs. Our fully staffed service departments will repair your travel trailer, fifth wheel, park model, motorhome, pop up camper, toy hauler and cargo trailer at our fully equipped service departments or we will come to your campsite. 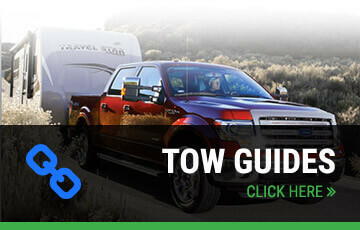 We are one of the few dealerships that offer "on site" service! We can take care of those minor repairs or we will work with your insurance company to repair or rebuild both interior and exterior damages. Our qualified technicians also install accessories, hitches, brake controls etc. We will even deliver and set up new or used RV's for you, speak with our service departments for quotes! Winterization is available in shop or on-site at the end of the camping season. We honor all warranty work for the products we sell. We accommodate any type of problem that may arise with your Canterbury, Fairmont Homes Inc, Forest River, Keystone RV, Open Rage RV, Palomino and Venture RV in an efficient, precise, and timely manner. Please call our Service Department at 608.757.2700 to schedule your service work. Call our service department at 608.757.2700.